A new study by scientists has found that coral reproduction in the Great Barrier Reef has dropped by 90% as a result of two devastating heatwaves in 2016 and 2017 which caused unprecedented bleaching events and the largest die off of corals ever recorded. The research was published in the journal Nature on Thursday and was based on research carried out on the reef last year. The scientists, led by Terry Hughes from the Australian Research Council Centre of Excellence for Coral Studies, measured how many adult corals in the reef had survived the mass bleaching events and the number of new corals that were produced afterwards. So-called bleaching is caused by abnormally warm water, which causes coral polyps to eject their symbiotic algae. 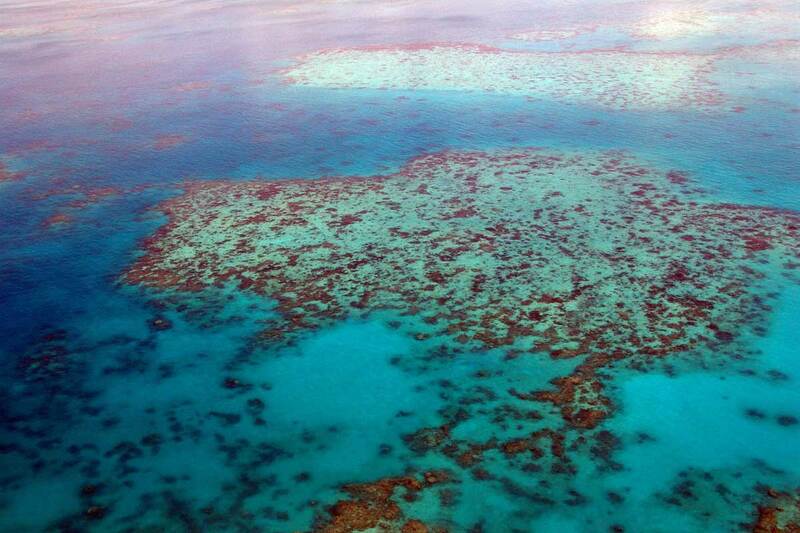 When this happens new coral or is not produced, raising the possibility of “widespread ecological collapse”. This also drains coral of their colour and is fatal for them unless seawater cools to its usual temperature in a reasonably short time. The bleaching events of 2016-2017 affected a huge 1,500 km stretch of reef and scientists are worried that it may not be able to replenish itself. “Across the length of the Great Barrier Reef, there was an average 90% decline from historical  levels of recruitment. Now the scale of mortality is such that there’s nothing left to replenish the reef,” Professor Andrew Baird, co-author of the report, told the BBC. While coral can recover over the next 5-10 years, this will only happen if there are no future serious bleaching events. But with global warming this is unlikely. What were previously regarded as cool phases in the so-called La Nina-El Nino ocean temperature and current oscillation have today become warmer than the hot phases of the La Nina-El Nino phenomena three decades ago, so what were cool years are now just less hot. The study also found that not all coral species and areas of the reef were equally effected, with some areas better able to adapt to the stressful marine conditions. The northern section of the Great Barrier Reef was most affected with 30% of coral in the shallowest areas being lost within eight months. There was also a drop of 93% in Acropora, a baby coral species, which typically dominates a healthy reef and provides a habitat for thousands of other species. There was also a reduction in fast growing species like tabular coral to slower growing varieties. Scientists are now suggesting radical conservation solutions such as engineering super corals that are better able to cope with very warm water and are researching how it might be possible to artificially cool a reef at times of high sea temperatures. But they also cautioned about their effectiveness on anything other than a tiny scale. “We’ve gotten to the point now where local solutions for the reef are almost pointless – the only thing that matters is action on climate change,” said Professor Baird. 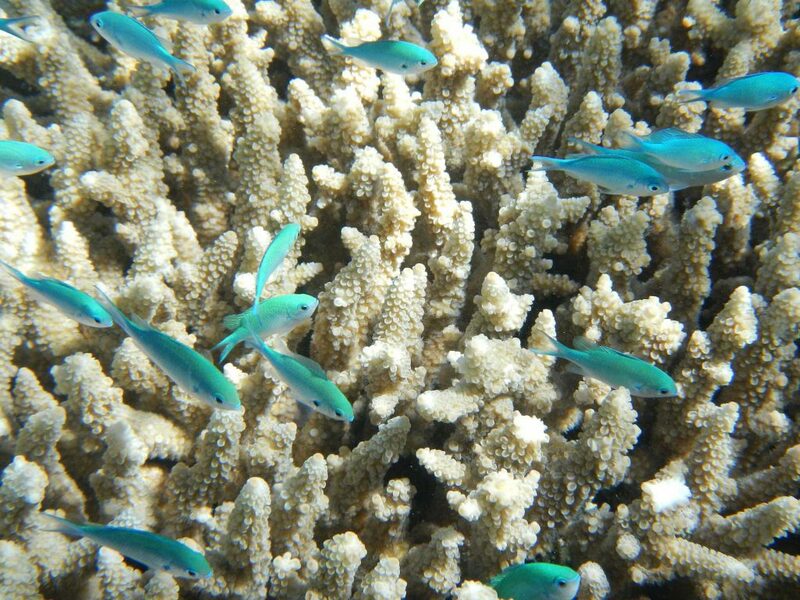 Researchers at King Abdullah University of Science and Technology in Saudi Arabia have carried out research in the Red Sea to find out how corals can adapt to increased temperatures. The study found that it is actually the algae the coral feed off that are responsible for the corals capacity to tolerate marine heat stress. In the Red Sea the Symbiodinium algae have adapted to be more resilient to changing temperatures. Swapping between different species of algae is something that corals already do but it is unclear if they will be able to adapt that fast to the stress of global warming and the rise is sea temperatures. The future for the Great Barrier Reef is far from certain, the International Panel on Climate Change predicted that if global temperatures rise by just two degrees Celsius, then 99% of the planet’s reefs will be wiped out.